Nearly three-quarters of UK students would back a second vote on Britain staying in the European Union. The results emerged in a survey of over 77,000 students by Dig-In- believed to be the largest survey referencing Brexit since the UK voted to leave the EU in 2016. The study also found that only 27% of students are optimistic about the country’s future. 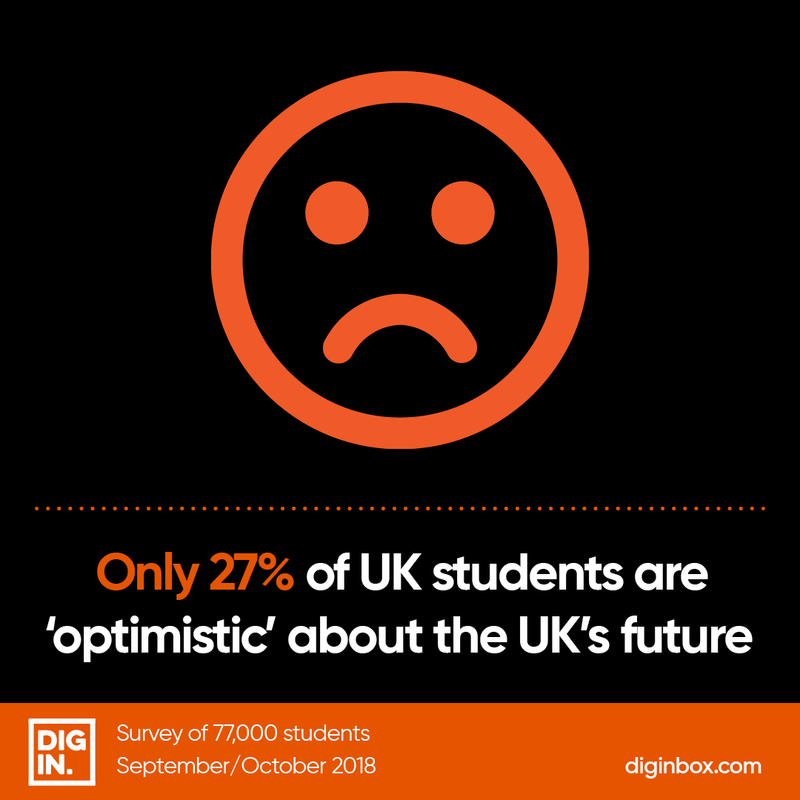 “Almost 57,000 students think that the UK should have another public debate about Brexit,” said Christopher Platt, CEO and founder at Dig-In, the UK’s leading student sampling and insight company. “That’s an incredibly high amount and seems to reflect the different view younger people hold about Europe than older voters". Worryingly for the government, the survey also found that only 18% of those questioned trusted Theresa May and 17% had faith in Boris Johnson. Labour leader Jeremy Corbyn, in contrast, was trusted by 39% of students. Dig-In’s survey follows hot on the heels of a recent survey on Brexit from Channel Four. The station canvassed 20,000 Brits and found that four in ten were behind the idea of a second referendum on Britain, with 54% of voters saying they would vote to remain if the referendum was held again.